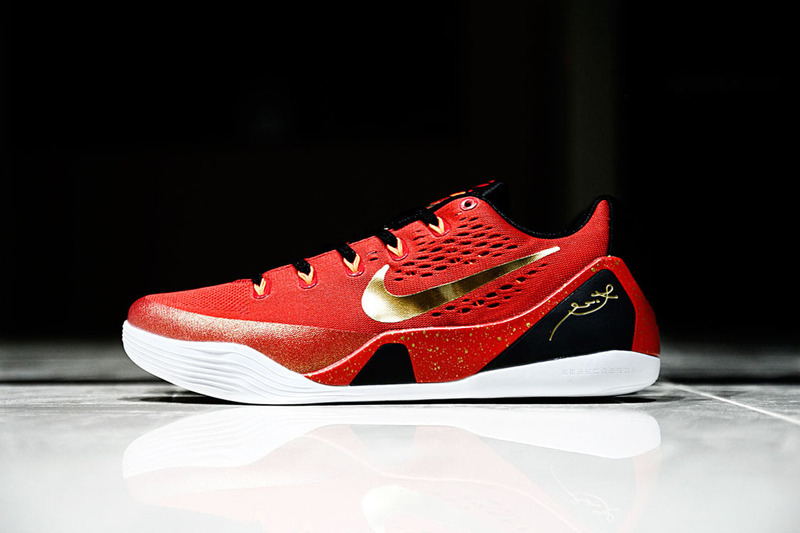 Part of the pack is Kobe Bryant's Nike Kobe 9 EM, seen here for the first time courtesy of Hypebeast. 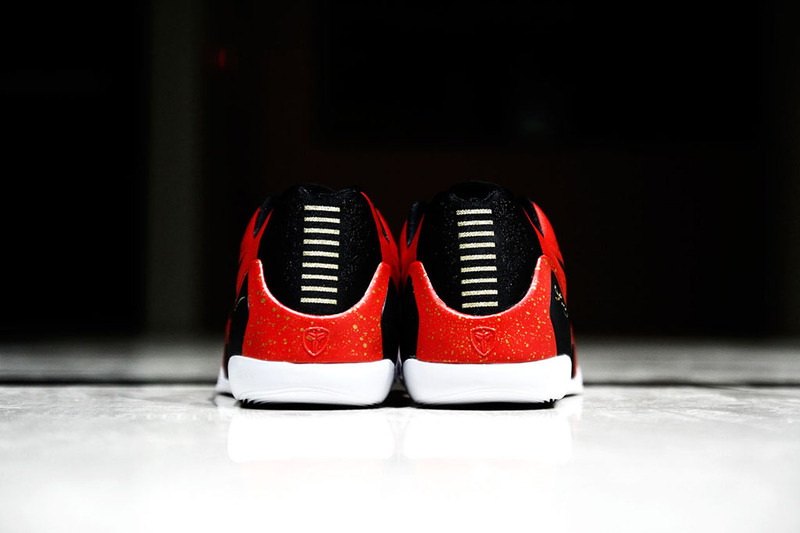 Bright red Engineered Mesh handles the upper, with black finding a home on the tongue, laces, inner lining and heel. 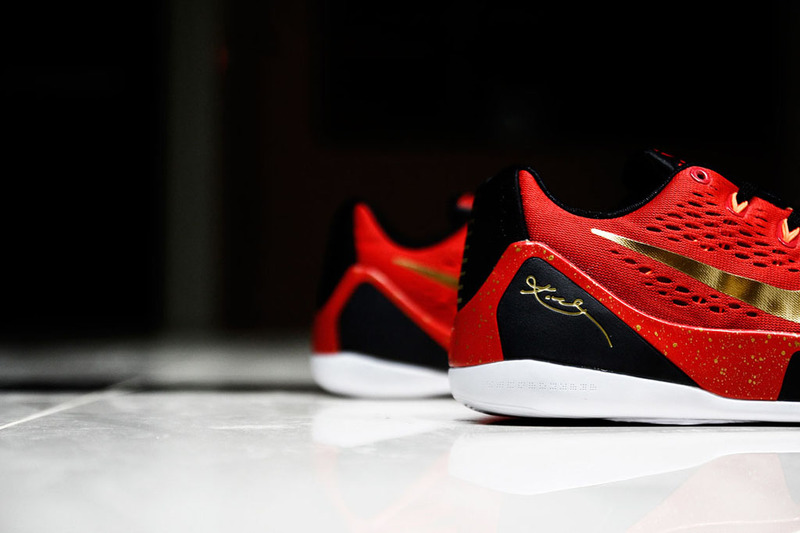 Festive hits of gold appear on the Flywire, Swoosh branding, heel stitch detail and midsole signature. 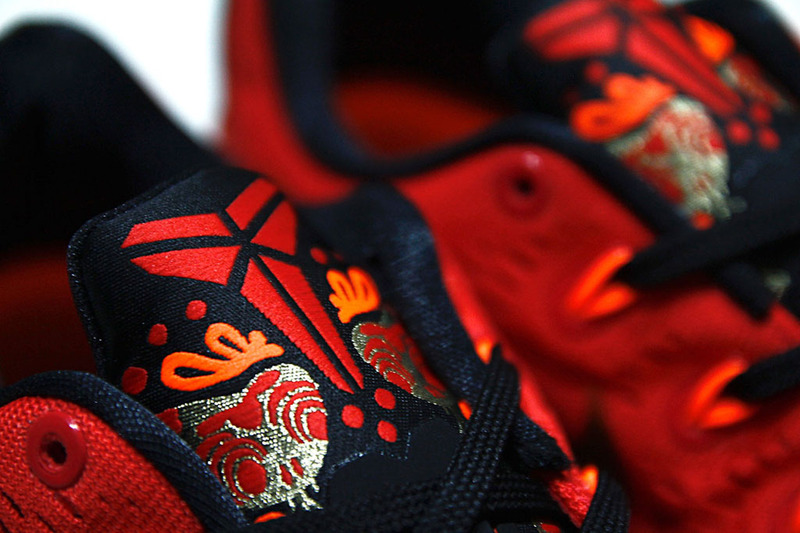 Kobe's logo on the tongue is surrounded by China-inspired embroidery. A white sole provides the look with a clean finish. 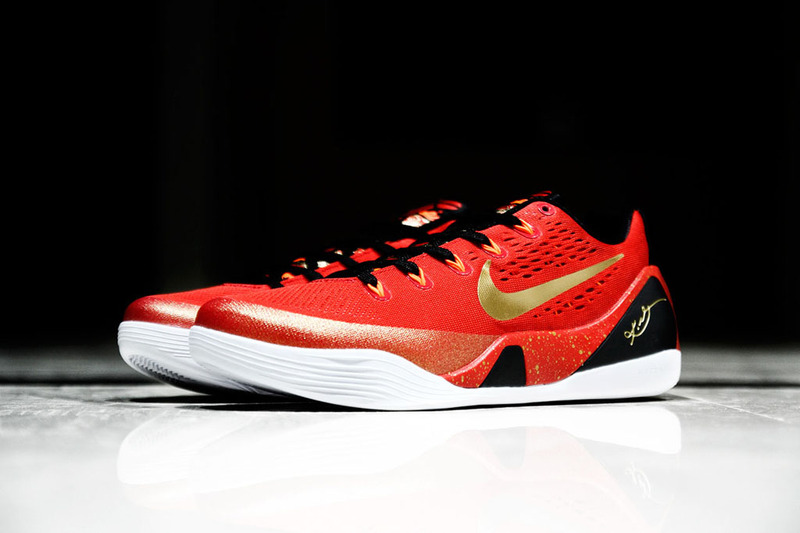 Expect the Kobe 9 EM CH to release in limited quantities later this summer.